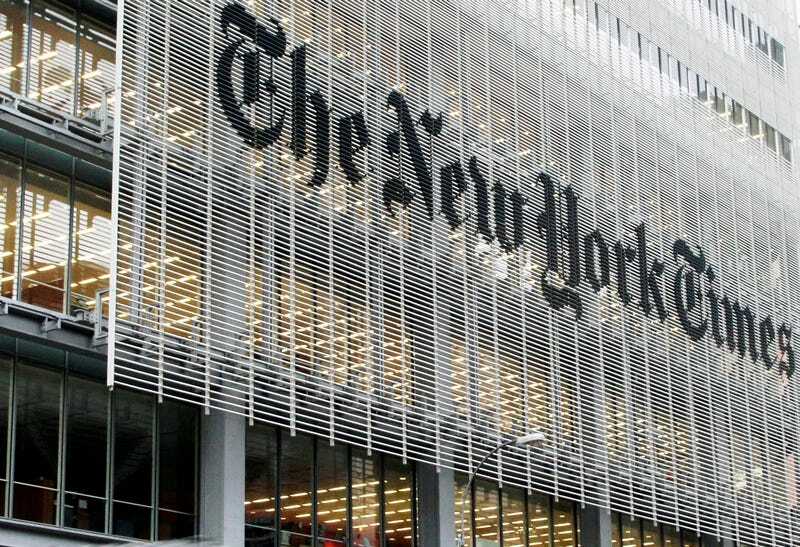 Do you live in Los Angeles and pay for online access to the New York Times? Have I got a cheapskate lifehack for you. If you live in LA, you have access to one of the greatest public library systems in the world. But the library isn’t just books and magazines and amazing VHS tapes. These days the LA library has all kinds of resources you can access from home, including free, unlimited access to the digital edition of the New York Times. All you need is the number on the back of your LA library card. Why, as a resident of the second largest city in America, would you get free access to the New York Times from home and not access to the Los Angeles Times? I honestly don’t know. But you don’t look a gift newspaper in the pixels. With a basic online-only subscription of the New York Times costing $3.75 per week, a free LA Library card will get save you $195 per year. With rents in this city skyrocketing, I say take what free perks you can get. Amirite? Iamrite. Do you live in LA but don’t have a library card? You should remedy that situation toot sweet. Library cards are free and reading, as they say, is FUNdamental. Just head down to any of the city’s 72 branches and sign up for one. Even if you never set foot in a physical branch of the library again, there are all kind of things you can get for free through the library’s website from your computer at home. Want to search old newspapers? There’s free access to Newspaper Archive, a service that’s usually north of $10 per month. It also has free access to the subscription version of the Oxford English Dictionary and an assortment of online collections of travel posters, historical maps, and movie advertisements. To sign up for your free New York Times access all you need to do is follow this link at the LA Library’s website and fill out your library card number. As the Library says “it seems too easy,” but that’s really all there is to it. You sign up for a New York Times online account if you don’t already have one, and you’re off—no more paywall. The LA Library’s other online resources are all available on their website. You can find most, including the Newspaper Archive and the OED, under tabs like Research & Homework and Web Resources. There really are too many to mention here. And if you don’t live in Los Angeles I’d still encourage you to check out what your local library has in the way of online resources. LA’s library system serves the largest population of any publicly funded system in the US, so naturally it has quite a few resources at its disposal. But you’d probably be surprised to learn just how many things you can access at home with the benefit of your local library card. Update, 2:32pm: It appears that the LA Library has hit its limit of New York Times users at the moment. (Sorry.) I’ve reached out to the library to learn more about how many people it takes to max out their subscription and how frequently it resets. Update, 5:24pm: Awesome news below. The library is doubling the number of subscriptions, which hopefully means that more will be available at any given time you want to read the New York Times.